Black Ice Software - Tiff Viewer version 11.40 is released! Scrolling through multipage documents with the mouse wheel! Black Ice Software has released version 11.40 of the Tiff Viewer. This version includes a new feature for the Note annotation, to show separately the Author and the Last Editor of the Note. This new improvement helps users to collaborate on documents and to track any changes. 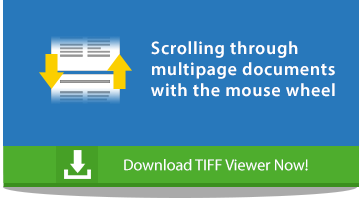 The new TIFF Viewer also includes scroll through multipage documents with the mouse wheel to navigate between the pages by simply scrolling with the mouse wheel. When reaching the bottom of the page, TIFF Viewer automatically jumps to the next page in the document. Version 11.40 of the Tiff Viewer includes updated right-click menus for the annotations text formatting, with updated documentation to enhance user's experience.